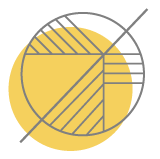 ANGELFISH Consulting – Real collaboration rooted in authenticity & trust. Real collaboration rooted in authenticity & trust. We believe that real and tangible results can be driven by fostering a collaborative approach to the client / agency relationship, whereby all teams are motivated, passionate and strive to great work. We want to achieve greater client and agency satisfaction & respect, thereby deepening and prolonging the relationship between both. If there is a gap in knowledge or experience, we can help you make informed strategic decisions. We will identify and focus on what is truly important to our clients’ businesses, adding value by driving real results, consistently without noise, and by cutting out irrelevant conversation. Project based or short term contracts, in-house marketing team leadership & support, Microconsultancy, bringing access to insight, experience – or a just a different perspective to solve an immediate problem or need. 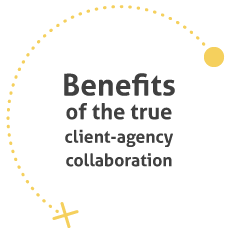 We will help you identify your future agency partner by working with you to define your real business needs, and then adopting a more collaborative approach to the agency appointment process to ensure chemistry and a shared synergy between the entire client & agency teams. We are not a pitch doctor. With so many disciplines and so many agencies involved in integrated marketing communication projects, it can often be difficult to achieve real collaboration, which is the backbone of great work. We can take the lead to independently manage multiple agencies to ensure that there is synergy, a shared sense of mission, and one thread that’s central within each agency, and drive the timely delivery of a holistic IMC campaign. Discovery: Identifying core problems or pain points & their underlying causes that may occur in client agency relationships, via research & consultation. Crafting bespoke solutions to result in better ways of working & mitigation against repeat of frustrations – could include training, workshops, mediation etc. Getting buy in from all involved, including key stakeholders as well as key support staff, rolling out new agreed ways of working, re-setting the relationship & revisiting for evaluation at agreed dates. Angelfish was set up in 2017 by Niamh NicLiam who saw an opportunity to vastly improve the relationships between clients and their agencies. 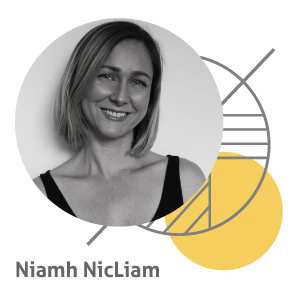 Originally from Ireland where she was a ‘client’ for 12 years before she moved to South Africa in 2012 which saw her jump to the other side of the fence, working in digital agencies. With her indepth understanding of client requirements, she headed up the client service departments of 2 of South Africa’s most well known digital marketing companies. Angelfish Consulting © 2019 | Real collaboration rooted in authenticity & trust.